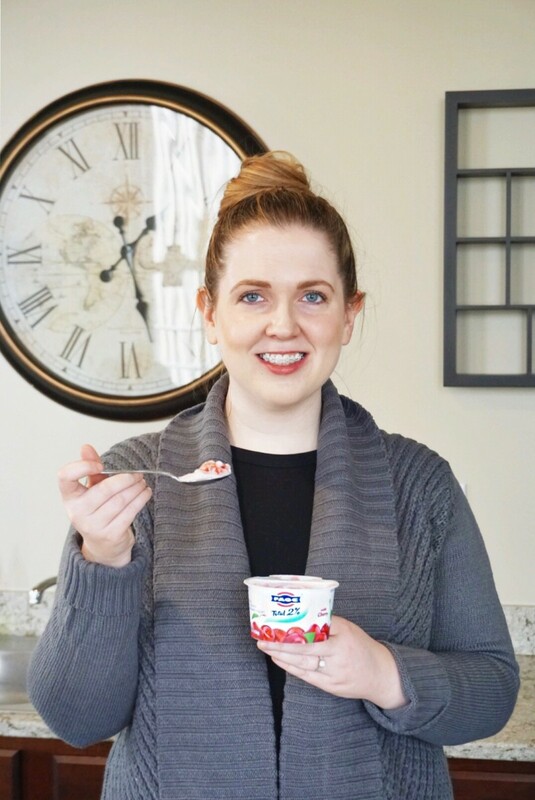 Thanks to FAGE for sponsoring this post! Everyone loves a good day. Those days you bounce out of bed with a spring in your step and feel like life is going your way. While good days may seem lucky, there’s actually a science to them. There are things you can be doing each and every day to help set you up for success. With a little discipline and some patience, you’ll find that you control the type of day you have. 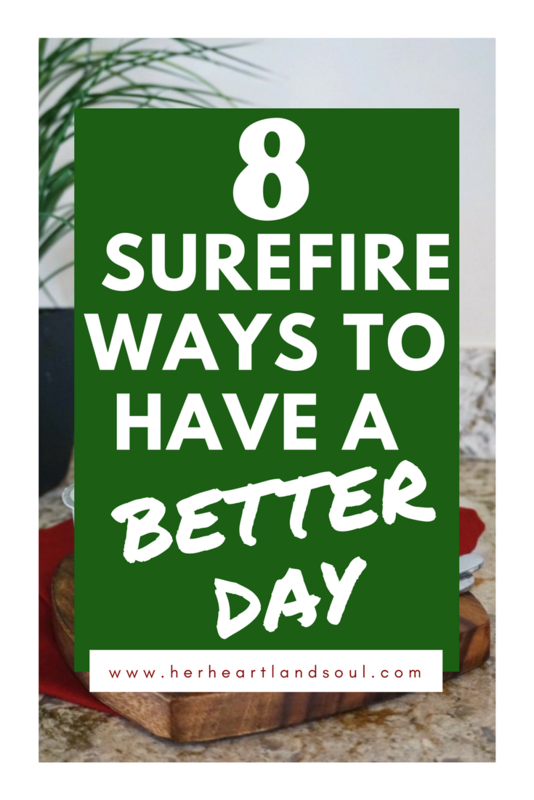 Here are 8 surefire ways to have a better day. One of the very best ways to guarantee a good day is to get a good nights sleep the night before. A good night’s rest ensures your body is operating at full capacity and ready to take on the day ahead with more brain power, willpower, and energy than you would have if you skimped on sleep. I feel better about myself when I put effort into my appearance. Unfortunately for me I am the laziest person in the morning. I literally want to do nothing but wake up slowly to kisses from Josh, cuddles from Punkin, and sip coffee slowly and leisurely while the sun rises. Since that is not a reality for me on weekdays, when I have less than an hour to get up and out the door, I’ve been working to add some time-saving hacks to my morning so I don’t spend the whole day looking and feeling like a bum. One of those hacks is laying out my clothes the night before. The less I have to think in the morning, the better. People tell me all the time how happy and positive I am. This is an aspect of my personality I’m really happy about, as happy, positive people tend to live happy, positive lives. So what’s the secret? Gratitude. I will never not be thankful to be alive. Period. Life is a gift. It’s hard to not be happy when you think about all the blessing you have in life. It’s such a better use of mental energy than wasting your time thinking about all the things in life you don’t have. Good things come to those who sweat. Not only will you feel better about yourself after a workout, but you’ll also have improved brain function, elevated mood, and increased energy levels thanks to exercising. Thank your body for working for you every day by working for it to keep it healthy and fit. Those who fail to plan, plan to fail. I have the worst time management skills, so I live and die by my planner. If it’s not written down, it’s not happening. I organize my work day, my to-dos, and my social calendar to keep me on task and on top of my day. This is one of my very favorite planners. I realize the irony of this as I write this tip on a screen and literally live my life in front of a screen. It’s the 21st century, I get it. But at the end of the day, humans are complicated animals living in bodies that haven’t fully caught up to our modern lifestyle. Our eyeballs need rest and our bodies need stimulation. Take a walk, take a deep breath, read a book, stretch, spend time in nature, cuddle a cat. Daily screen-free time is truly good for the soul. Chatting with your girlfriends on Facebook is great, but it’s not the same as catching up in person. We are social creatures and we need social connections in our lives. From coffee dates to group exercise classes to family dinners around the table at night. Nurture your relationships and make sure you’re getting human interaction every day. Food affects everything from our health to our weight to our skin to our mood. It’s so important to be making smart food choices throughout the day. I look for foods that are high in protein to give me energy and have healthy fats to keep me full. 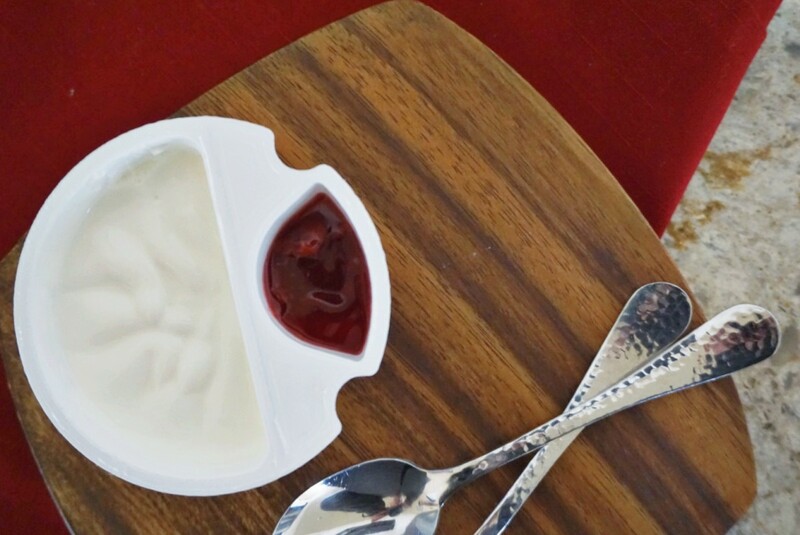 One of my go-to snacks right now is FAGE’s Total 2% Split Cups. They’re portable, come in a wide variety of fruit flavors, and are made with good for you ingredients. They also are absolutely delicious. The cherry flavor is seriously bomb. Plus, thanks to the goodness of Greek yogurt, my favorite split cup in the 2% cherry flavor is only 120 calories, has 12 grams of protein and only 11 grams of sugar. A good rule of thumb for a healthy snack is there should be more protein than sugar per serving. The split cups are available in three different fat levels, 0%, whole, and my go to 2%. A good snack will keep you full in between meals and satisfy your taste buds. FAGE Total Split Cups do both. Check out where you can pick up some of your own all-natural, FAGE Greek yogurt goodness here. Questions of the Day: What’s something you do to help you have a better day? 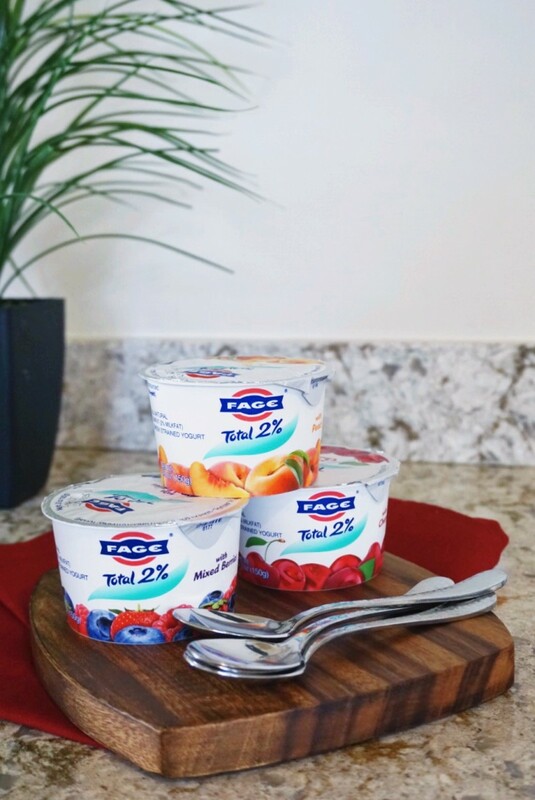 Have you tried FAGE Total Split Cups? Love this post! I really think the idea of starting the day out with some form of gratitude is so important! I just did a post on my blog about starting the day with intention, it such a good way to stay motivated & inspired! Thanks for sharing! A good nights rest makes such a huge difference. Thanks for the tips. All of this!! This is exactly how I live my life. So powerful for staying joyful, and it totally works! We all need better days!!!! I have not tried these, but they look yummy. I definitely agree that smart food choices and getting lots of sleep are great ways to have a good day. I’m guilty of not planning out my days, and then I wish I had gotten more done! Thank you for the tips. These are great suggestions. If I could get them all in in one day, I’d be crushing it. But they’re great reminders. Thanks! These are great suggestions! Great reminders when the day gets away and I don’t feel like I accomplish anything. Thank you! These are great suggestions. I especially love the one about starting your day with gratitude. It definitely makes a difference! Getting a good night’s sleep would help me a ton. I should be asleep right now. Listening to music helps boost my day! the whole pick out the outfit the night before is HUGE in our household.. I hate when I dont do this and waste more time in the morning finding stuff to wear. Great post! I need to start setting outfits out again! It does make things better! I haven’t tried those yogurt fruit cups yet, but they look yummy! These are such great ideas! I definitely try to hit most (if not all) of them every day because they do make a big difference. With that said, I would also add meditation because it really impacts my day from a really beautiful mental space. Great tips! I *really* need to schedule workout sessions. Like an appointment you don’t want to miss! 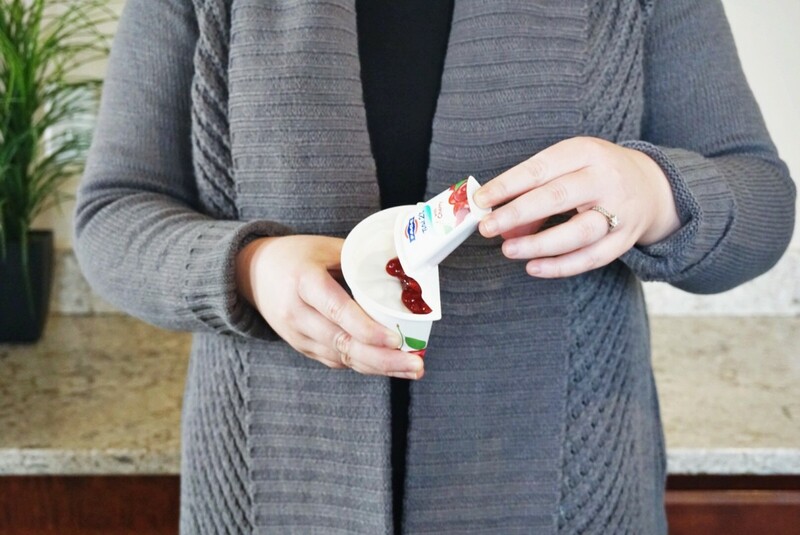 I love these FAGE Total Split Cups, too! So creamy & tasty! All super tips! No matter what, I start everyday with journaling, gratitude and good thoughts for the day ahead, and planning out almost down to the half hour what I will get done. It’s the only way I can stay on track. I need to work on the sleep part though, that definitely has a huge impact on my mood. I used to put out my outfit a night before but now I only do it when I am going to have a big day or an interview. Great post! For me, getting a good night’s sleep is SO important. I need 8 hours! Such a great post! I have been working on getting more sleeping and planning my outfits the night before. It really does make a huge difference in the mornings!